The snow has melted! So when can I plant? 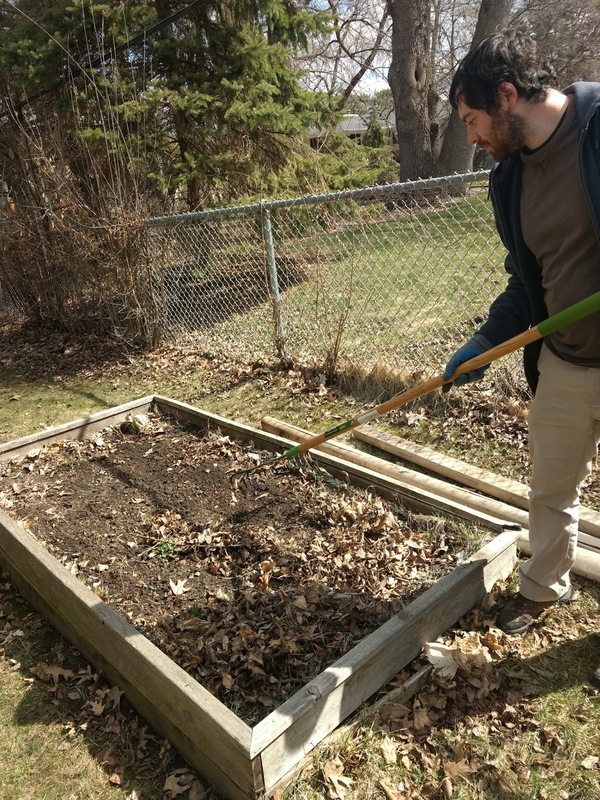 The cold spring and record-breaking snowfall in mid-April may have delayed the start of the 2018 vegetable garden for many Minnesotans. But do not worry! There is still plenty of time to prepare your garden and plant vegetables throughout May. The May to-do list includes preparing the soil, choosing healthy transplants, deciding the right time to plant, and planting cool and warm season vegetables. Raking garden debris off the soil. 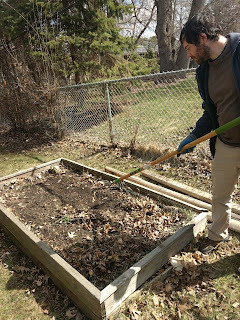 In the April to-do list, I listed soil preparation as a task that can be done in April, depending on weather conditions. However, if you were affected by the snowfall in mid-April this year, you probably have not been able to prepare your garden soil yet. That is fine; the first two weeks of May are still a good time to do this if you have not already. Soil preparation includes tilling or hoeing, weeding, and applying soil amendments. Tilling warms the soil, and it allows us to incorporate compost and fertilizer. Allow the soil time to dry out somewhat before tilling, or the soil will become compacted and lead to poor plant establishment. If soil clumps stick to a shovel and gloves, it is too wet to till. Read more about soil preparation in the April To-Do List. 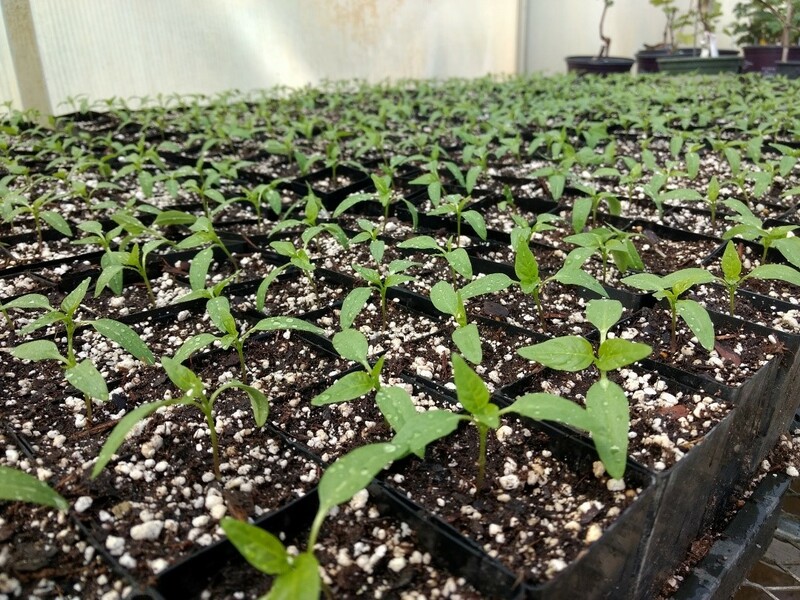 Start out the season right with healthy transplants. Inspect every plant prior to purchase. Plants should have a firm green stem and leaves. Roots should be white to tan with many small root hairs. Do not purchase any transplant with discolored areas on the leaves, stems, or roots as these may be signs of a plant disease. Whenever possible, purchase transplants that have been grown in Minnesota. 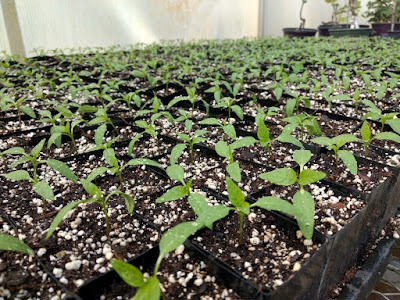 If you started vegetable plants indoors from seed, it is important to let them gradually adjust to the outdoor environment before planting them into the garden. This step is called “hardening off.” To harden off your plants, move them outdoors each day at increasing time increments. Bring them back inside in the evenings. If plants are not hardened off, they may suffer shock and sun-scorch from the sudden change in environment, and they may not survive. Cool season crops like broccoli, peas, and carrots may be planted between April to mid-May, before the last spring frost. This is because they are adapted to cold conditions and germinate even when the soil is cold. The cool season crops listed below can be planted in soil that is at least 40 degrees F.
However, do not plant into wet heavy soil, or the seeds may rot before germinating. The best soil for planting is moist but not heavy and soggy. If snow melt and spring rain have saturated the soil, allow a few sunny days to pass before planting. The following vegetables are considered “warm season crops.” They must be planted after soil temperatures reach at least 60 degrees F and the main risk of spring frost has passed. Unlike cool season crops, they often perish or suffer severely from a single late frost event. In Minnesota, the typical “frost safe period” is considered to be after Memorial Day, or around May 28th. While 60 degrees is the minimum soil temperature for these crops, their optimal range is around 70-95 degrees, depending on the crop. If seeds of warm season crops are planted into cold soils, they will likely rot before they can emerge. For specific soil temperature ranges for each vegetable, refer to the seed packet or this article from Alabama Cooperative Extension. Some plant diseases can be carried on soil, plant debris, and tools used on last year’s crop. Clean all equipment before using it in the vegetable garden this year. Remove all soil and plant debris. Then, disinfect tools, tomato cages, and other plant supports with a 10% bleach solution (1 cup household bleach and 9 cups of water). The bleach solution can be sprayed or wiped on metal or other smooth surfaces. Natural materials like wood and bamboo should be soaked in the bleach solution for several minutes to allow the solution to move into the small natural pores found in these materials.